Q1: A person cannot see distinctly objects kept beyond 2 m. This defect can be corrected by using a lens of power which type? i. Stars twinkle at night. ii. The sun appears reddish early in morning. iii. Planets do not twinkle. iv. Red colour is used in danger signals. Q3: A person walking in desert gets a illusion of seeing water. Name the phenomenon of light responsible for it. Q4: Distinguish between Refraction and Dispersion. Q5: Explain how formation of rainbow occurs alongwith suitable diagram. Q6: Explain apparent star position along with suitable diagram. Q7: What is the speed of light in diamond if absolute refractive index of diamond is 2.4 and velocity of light in vacuum is 3 × 10⁸ m/s ? Q8: Why is the colour of the clear Sky Blue? Q9: Make a diagram to show how hypermetropia is corrected. The near point of a hypermetropic eye is 1 m. What is the power of the lens required to correct this defect? 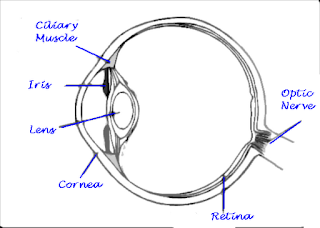 Assume that the near point of the normal eye is 25 cm. 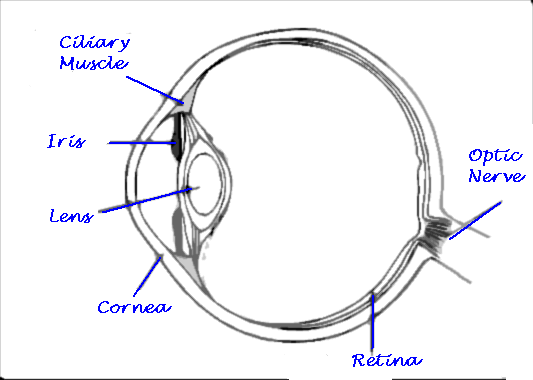 Q10: Why is a normal eye not able to see clearly the objects placed closer than 25 cm? Q11: A student sitting at the back of the classroom cannot read clearly the letters written on the blackboard. What advice will a doctor give to her? Draw ray diagram for the correction of this defect. Q12: Explain the refraction of light through a triangular glass prism using a labelled ray diagram. Hence define the angle of deviation.